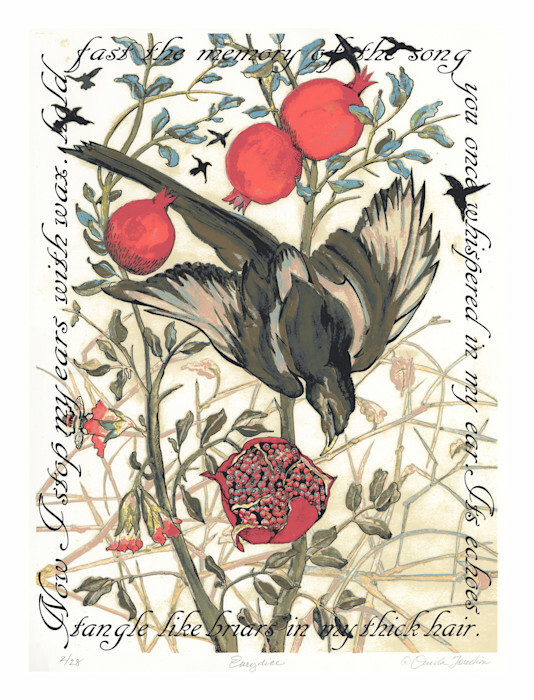 This is an exuberant magpie handprinted as a serigraph from my original watercolor in an edition of 28. It's also an interpretation of one verse of the famous public poem by Sue Hubbard, which is on display in London in the pedestrian tunnel below the Waterloo Bridge. Inspired by my recent visit to London, I embarked on a series of images that interpret the poem's verses. This in one of 3 to date. Each print is on acid free paper and is signed and numbered by Ouida Touchon. Carefully packed and shipped from my studio in New Mexico. Your shipping charges will be returned to you in the package containing your artwork. Thank you! Watercolor painting is my chosen medium on this piece. 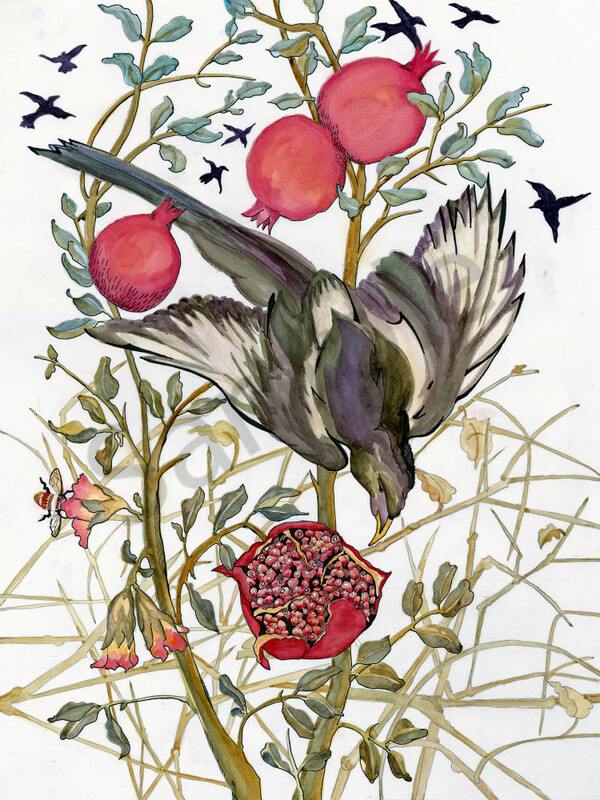 It's a perfect way to handle the transparencies and luminous colors of the luscious pomegranate as well as the hungry magpie. 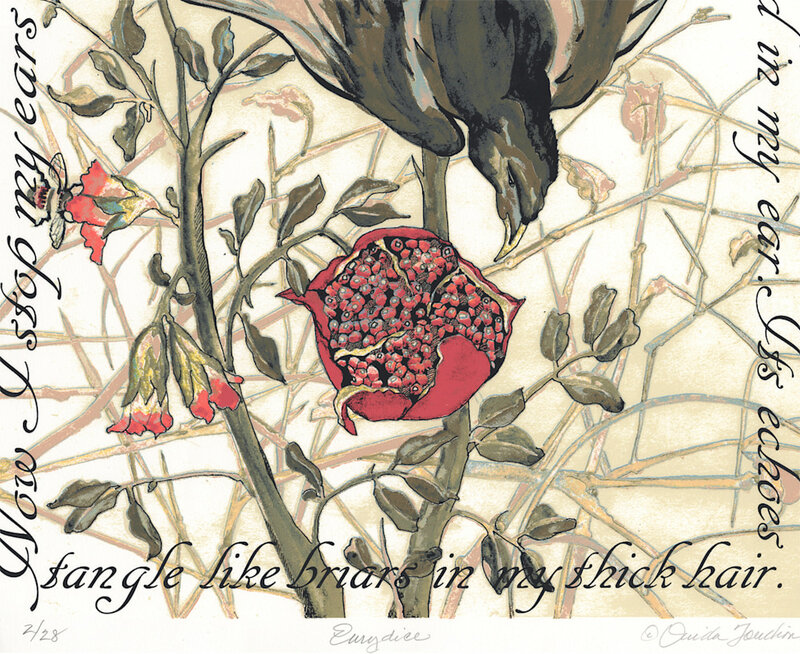 Inspired by a poem entitled 'Eurydice' by Sue Hubbard, I have depicted different verses in the poem. This is one of my favorites of the series. Magpies are so very mischievous and graphic for an artist to depict.